Last year, research from Convince and Convert showed that 44% of people who receive email purchased something because of a promotional email. So despite all the channels available to marketers today, email remains effective. But there’s another, more sobering statistic for marketers to keep in mind: Research data company TOPO also found that over 75% of emails are never opened. Getting your emails opened so their awesome power to convert can be realized is a must for small and medium-sized businesses (SMBs) looking to maximize the return on their email marketing investment. Writing the best subject lines to get your audience to open your emails is not about copying the “best lines” from a list, but instead understanding what tactics work to communicate messages that your audience can’t resist. Your emails won’t be opened if they aren’t sent to the right audience. Segment your email list before you write a single word of your subject lines. In fact, writing effective subject lines actually begins at the start of your relationship with a subscriber. A best practice is to ask questions that will help you craft subject lines directly on the assets you use to convert subscribers to your list (landing pages and popups). 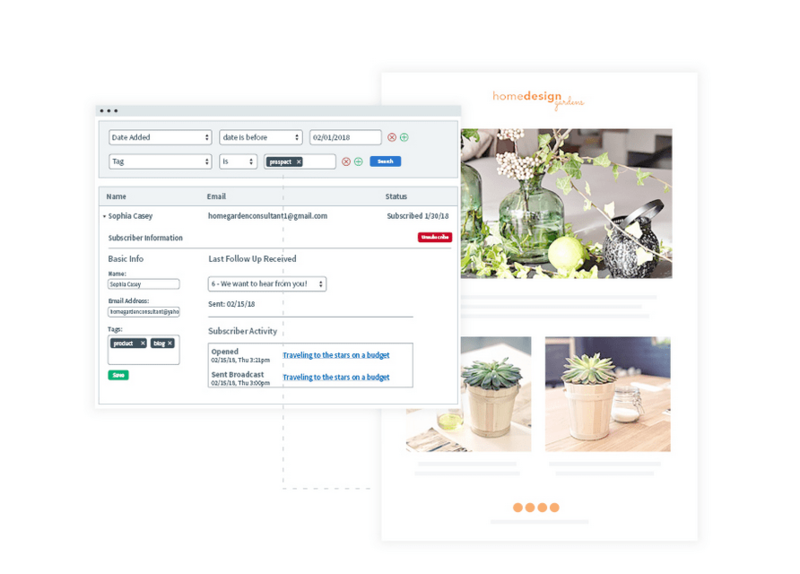 Email service providers like GetResponse make it easy for SMBs to find salient characteristics in their audience and build lists of leads that share them. Check out our GetResponse expert review to learn more about how this type of functionality works. What topics are you currently interested in learning more about? What do you think is holding you back from reaching your goals? Audience segmentation alone is not enough to maximize your open rate. Leads open emails when the subject line messaging matches the messaging they’re looking to hear — which is determined by their location in the sales pipeline. A best practice is to think about the language and messaging that will resonate with customers at every stage of the pipeline while you’re building out their journey. The early stage of a pipeline is usually characterized by information-gathering, so messaging and language should communicate that your emails offer valuable information. Subscribers in the later stages of the pipeline are ready to make a purchase, so subject lines should communicate concrete offers. Data is the focus of all good marketing. But a common mistake SMBs make is to generate data for data’s sake. A/B testing of variants requires meaningful differentiation between them. Don’t just write a bunch of subject lines to see which one performs best. Deliberately craft language that is a different tone, or a different offer, or a different value proposition. To ensure you have a control for your tests, a best practice is to deliberately test only a single one of these elements of your subject line at a time. 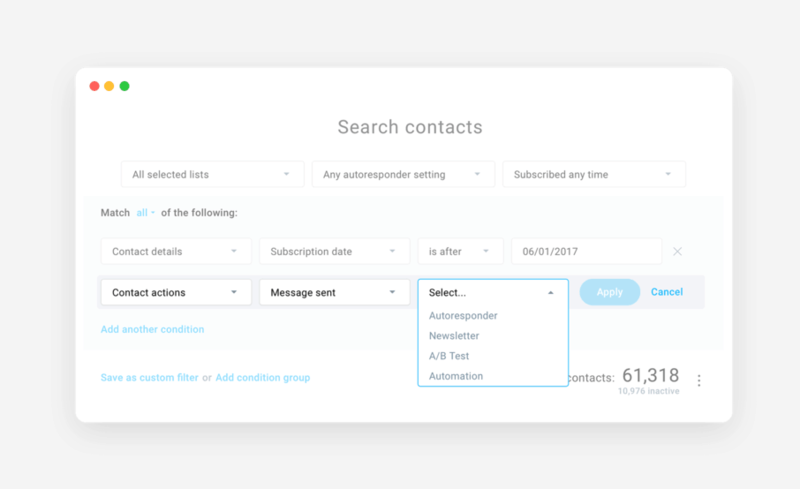 If you want to learn more about how this kind of functionality can be used to find optimal variants, check out our expert review of Constant Contact , which specializes specifically in email subject line testing. No matter how much planning and data collection you do, subscriber lists are never a monolith; they are a collection of individuals who decide to open or ignore your emails based on their own situation. A best practice is to develop workflows that target individuals with specific subject lines based on their individual open rate. Subscribers with a high open rate are very engaged, so send them subject lines that bridge the gap between one stage of the pipeline and the next. For example, early-stage leads are seeking information about a problem, and your goal is to transition them into the mid-stage when they begin considering a solution. If you notice an early-stage lead is opening a high percentage of your emails, use a subject line like, “You have the facts about [X topic]. [Your Product] knows how to act on them.” That way, you’ll encourage them to move along in the pipeline. No one likes the thought of being wrong, and the fear of holding incorrect assumptions is enough to entice people to want to learn more. No matter where your subscribers are in the pipeline, suggesting that what they know is true is actually wrong is a very effective way to pique their curiosity and get them to open your emails. The form this takes varies by industry and vertical, but the best practice here is to never directly state that subscribers are “wrong” about something, but rather to reinforce their ego and then indicate that a change in circumstances has made their knowledge outdated. An example would be, “You’re correct, [X product] was flying off the shelves — until last week.” By reinforcing the reader’s image of themselves as a well-informed individual, you can then highlight their ignorance without risking a backlash. In addition, this reminder of their expert status also increases the likelihood that the reader will want to reaffirm it by reading the more up-to-date information in the body of your email. Faulty knowledge is not the only way to pique readers’ curiosity. Addressing pain points is a tried and true marketing technique that should always be in your repertoire. But where most SMBs go wrong here is in the length and tone of the messaging. An essential best practice is to distill the customers’ pain down into as few words as possible. The Obama campaign did an excellent job of this during Obama’s two presidential campaigns. Famously, a campaign fundraising email with a subject line of just four words — “I will be outspent” — raised $2.5 million. For the campaign’s supporters, stating the pain point this clearly and directly proved to be a great motivator not only to click the email, but also to follow through and convert. In a world of algorithms, analytics, and AI, data is king. People value statistical information that can give them an edge over their competition. A best practice is to mention data in your email subject lines that will let the reader know they can expect to get it from you. Research by the Content Marketing Institute showed that 65% of businesses cited research reports and studies as the kind of content they find most valuable. Unique data and analysis provides great value that people find interesting and are willing to click on your emails to get. Providing data doesn’t mean sounding like a robot. Emails are sent to inboxes where hundreds, if not thousands, of messages are competing for attention. Standing out from the crowd of straightforward, boring email messages can do that. Creating a smile or a laugh goes a long way. One of the all-time great examples of this is an LinkedIn subject line that read, “Black Friday Shoppers are the Worst Customers.” It’s hard not to appreciate the wit here, and even harder to not laugh at it. Even though it doesn’t explain the value contained in the email, it grabs your attention with its teasing humor. Another reason the LinkedIn subject line works so well is that it raises a question: Why are Black Friday shoppers the worst customers? Asking questions or teasing factoids that spike the curiosity of subscribers to learn more will entice them to click through. Spiking curiosity requires a balance of mystery and concrete information. Generic subject lines like “You’ll never believe what’s in this email!” don’t provide any topical information and so won’t garner any interest. A best practice is to always provide topical information to orient the reader about the subject of the email. A much better way to spike curiosity is Refinery29’s subject line, “I got Botox—& THIS is what it looked like.” It states the topic and lets readers know what they’ll get when they click through. People love to be asked their opinions at any and all times, and email subject lines are no different. A question in a subject line places the focus on subscribers and invites them to interact. Unlike the curiosity or assumption-challenge techniques, this tactic doesn’t use rhetorical or leading questions. It distinguishes itself by directly asking readers for their opinion. This works especially well for e-commerce SMBs looking for an effective way to follow up or retarget customers after making a purchase. REI’s subject line “What did you think? Write a Review” has the added benefit of enticing subscribers to not only re-engage with your brand, but also provide you with valuable data. SMBs can’t increase open rates with a single, unchanging strategy. Email subject lines are a marketing tactic that operates in a dynamic environment of shifting customer expectations and needs. Specific subject lines that work one day may not — in fact, probably will not — work a different day. Email service providers like SendinBlue and AWeber will indirectly encourage you to follow best practices because using the same subject lines over and over again will actually hurt how many of your messages get delivered. The reason is simple. Emails coming from good marketers constantly adapt; emails coming from spammers usually don’t. Subscribers are also quick to penalize subject lines that are stale or don’t deliver value — research from Convince and Convert showed that 69% of email recipients will report an email as spammed based solely on the subject line. To learn more about how email services ensure that your deliverability rates stay high so your messages reach your subscribers’ inboxes, check out our expert reviews of AWeber here , and SendinBlue here . Email subject lines may be short, but that doesn’t mean they can be done mindlessly. Conceptualize them as a marketing tactic just like any other, and follow the known best practices to craft messaging and language that people respond to. Your subscribers will reward you with high open rates — and ultimately, excellent conversion rates.